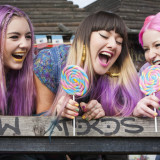 In colourful Camden, Shout Hair cook up some pastel hues that look good enough to eat. 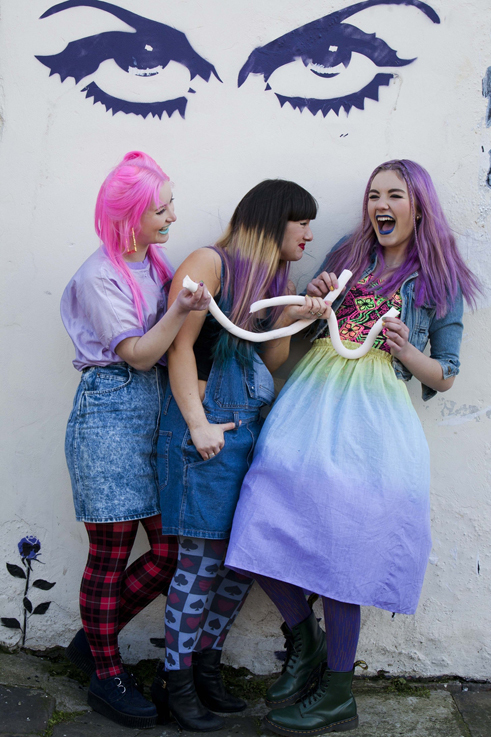 [dropcap]I[/dropcap]n colourful Camden, Shout Hair cook up some pastel hues that look good enough to eat. Fashion Illustrator Andy Bumpus in Acne, Kurt Geiger and bold socks. The British Fashion Council’s first London Collections: Men commences this week, with a full diary of menswear showcasing over 3 days. 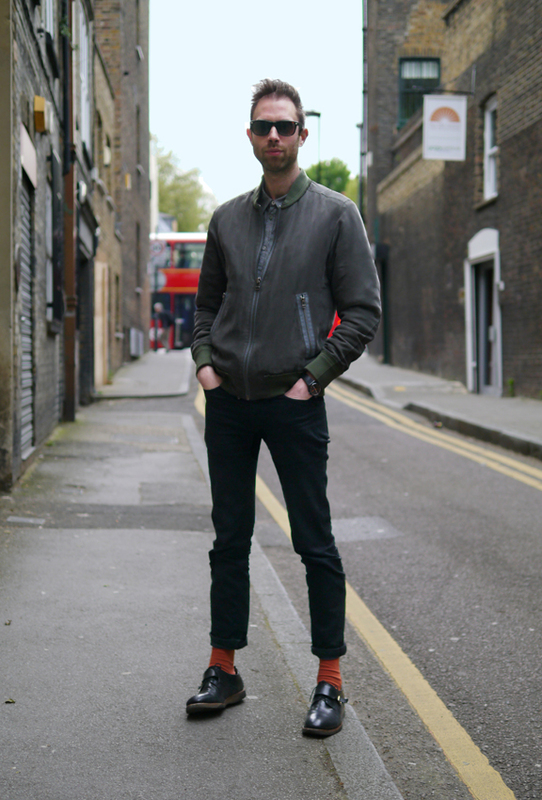 To celebrate men’s London style, we snapped fashion illustrator Andy Bumpus. 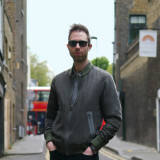 Pictured in Islington he wears an Edun silk bomber jacket, shirt from COS, Acne jeans, Kurt Geiger loafers, his signature bold hue M&S socks and vintage sunglasses. The London Collection menswear shows will be streamed live from The Hospital Club on www.londoncollections.co.uk/live. 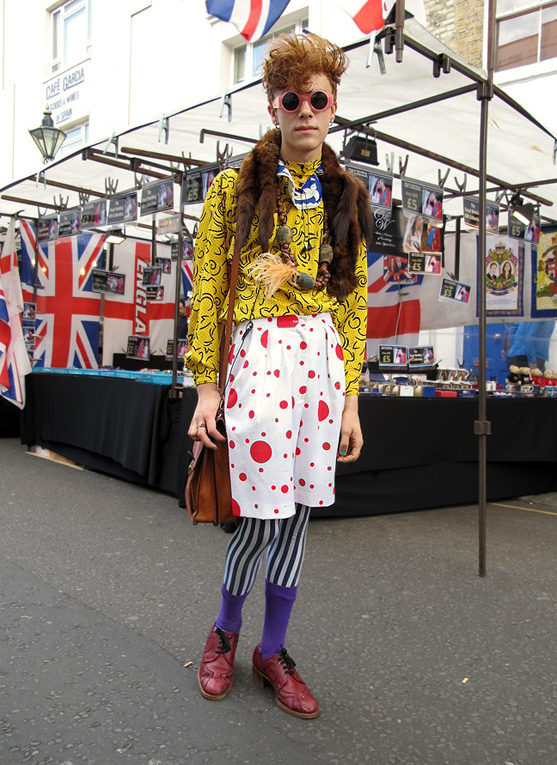 London artist Jenkin Van Zyl’s vibrant style pictured shopping in Notting Hill. Ingredients for a very British celebration: rain and sun on rotation, street parties aplenty, Prince Charles introducing Queen Elizabeth to the nation as ‘Mummy’ and Grace Jones hula-hooping her way through her set at the Jubilee Concert. 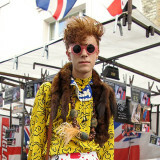 Jubilee street style didn’t fail to disappoint either, first up here’s 19-year old Jenkin Van Zyl, an artist from Whitechapel spotted in Notting Hill. He wears a fur scarf from Portobello market, his mum’s shirt, African beaded necklace Camden, vintage trousers from Rokit and shoes from Blitz. The sun’s out to play, off with the 100 denier’s & on with the cut off denims & stacked platforms. The sun’s lingering on so off with the 100 denier’s, and on with the cut-off denims. Natalie Reeves wears hers with a preppy green cardigan from a Camden thrift shop, velvet leotard from Primark, Topshop earrings and platform clogs from Dune. 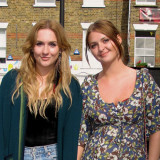 On the right student Rosie Harrison wears a Nasty Gal floral maxi dress and suede red ASOS platforms. 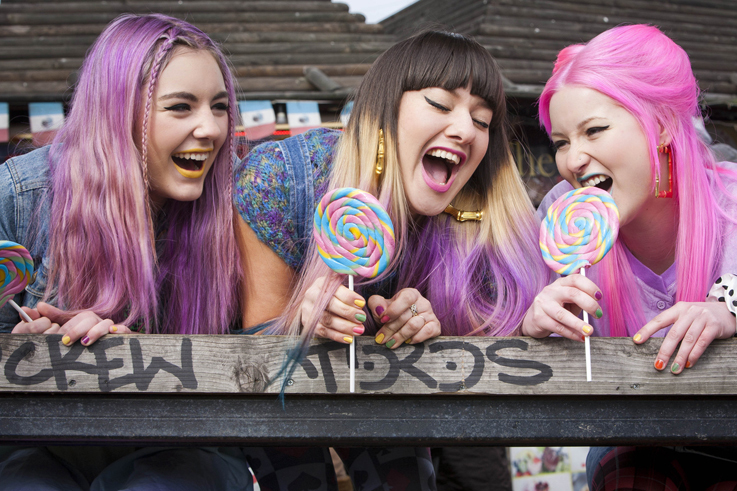 The girls were pictured out shopping in Camden. 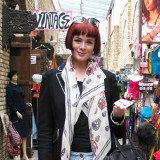 Vintage stall queen Kelly Tison’s international style, pictured in Angel, London. If you’ve shopped at any vintage clothes fairs in London lately, you may have noticed the lovely Kelly Tison and her Pandora’s box of colourful pre-loved clothes and accessories. 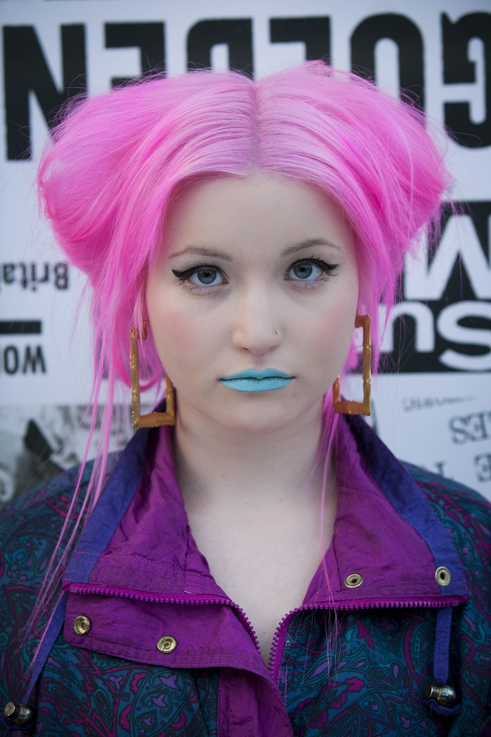 From Bethnal Green, she tours London with her Lilyflower vintage stall and always looks the part. Kelly’s pictured in Angel, Islington, in her very international outfit involving Topshop jeans, a vintage coat from India, a shirt from an Ibiza flea market, a handmade necklace by Chris Keen from her own Lilyflower stall, a vintage bowler hat from Australia and Nike trainers. 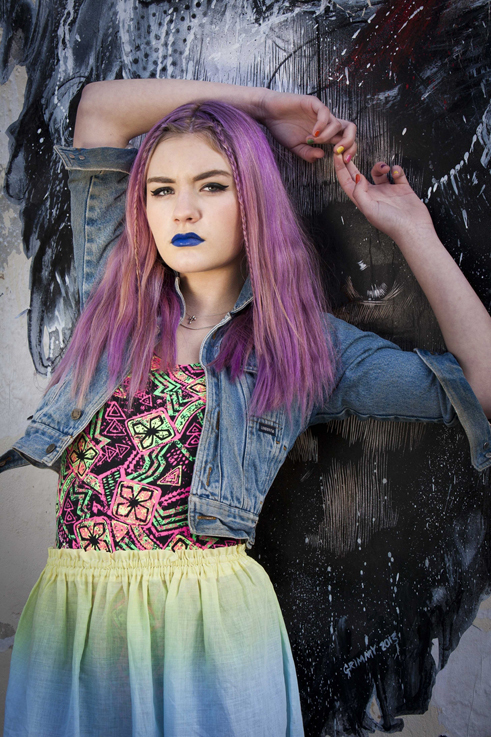 Picture featured in Evening Standard’s London Looks. Working smart casual menswear in Reiss & Corbeau in Angel, Islington. 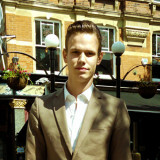 Cooper Kooistra, 19, is originally from Holland but lives in Angel, London. We caught him in his effortless smart casual attire on his lunch break from Reiss where his super fitted blazer, shirt and jeans are all from, finished off with his shoes from Dutch brand Corbeau. He’s pictured here in the vintage shopping haven that is Camden Passage. 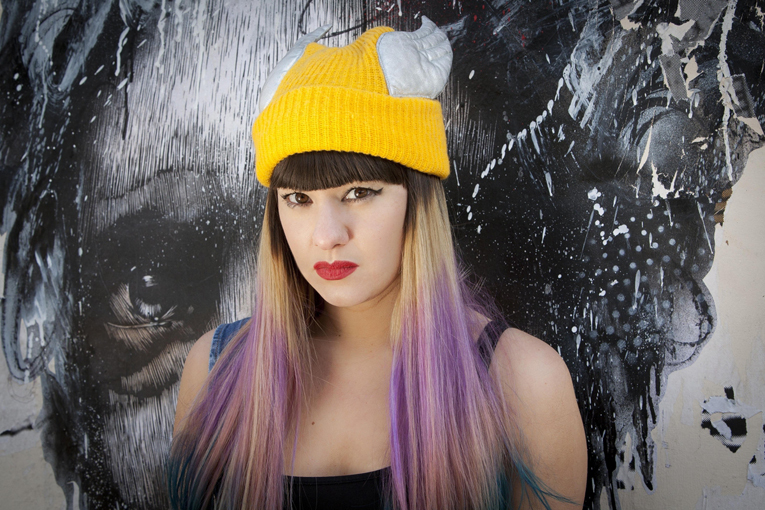 Picture featured in Evening Standard’s London Looks. Emma Piggott is not your stereotypical barber; she’s a scarlet haired, Mulberry bag carrying, head turning, hair stylist for men at CM20 salon in Harlow. She’s pictured shopping in Camden Market wearing a jacket she’s had from childhood, Alexander McQueen Scarf, denim hot pants from River Island, boots from Topshop and a Mulberry handbag. Also featured by Evening Standard’s London Looks.